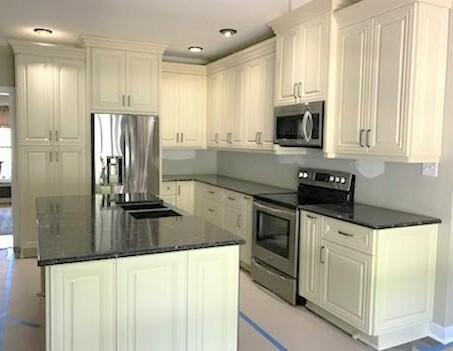 Remodeling your kitchen or bathroom in Glen Allen? Give the experts at Panda Kitchen & Bath of Richmond VA a call. 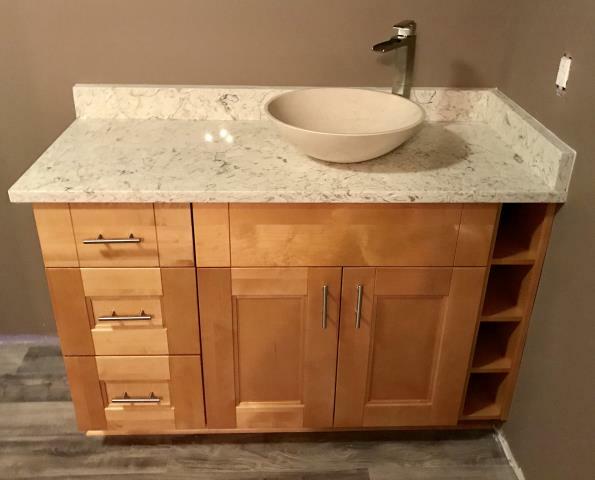 Whether you’re trying to replace a couple outdated cabinets or re-do your entire bathroom, our team of experienced designers and installers are ready to make your dream home a reality. 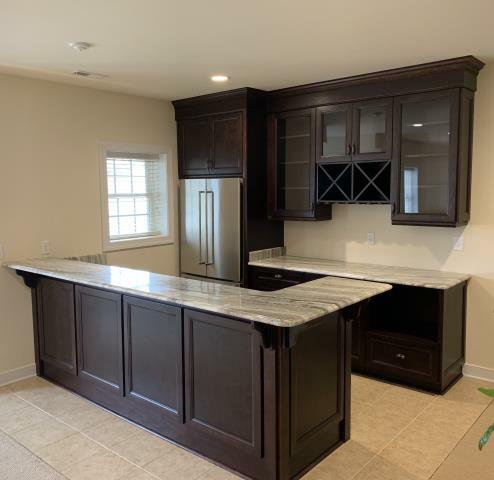 Our large showroom stocks a large selection of the finest granite countertops and natural wood cabinets in the area, and for a more custom look, our designers can make alterations or order other materials like marble and quartz. 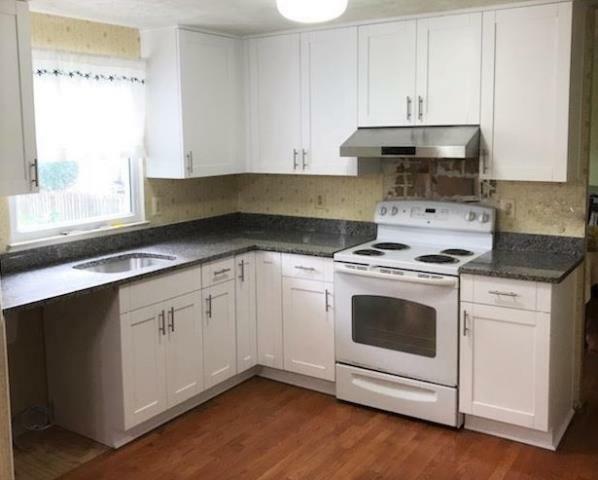 If remodeling your kitchen or bath with quality materials at an affordable price sounds like a dream, schedule a consultation today so we can help you make it real. Nice product. May was great. We liked the product very much and May made the experience of buying easy. She answered all our questions and was very cooperative about the timing of the delivery. Highly recommend Panda. Their work at our home was beautifully done and on our schedule. Really good experience! This was a excellent experience for us! Everything went smoothly, on time and with great communication. From the design for our new kitchen, thru making all the selections, to making all the modifications - this has been the best experience. Molly has such an experienced eye for color, for style, for the layout - that her help was absolutely invaluable. We have an amazing new kitchen and I want to give Molly a lot of credit for her help. Her design plan gave us a better kitchen than I could imagine. I'd only come to her again. Panda Kitchen and Bath has a great selection of cabinet styles and configurations, countertop materials and colors, and is extremely helpful in choosing the products and configuration that will work best for your lifestyle and space. Any questions or issues are handled immediately and thoroughly. Hassle free from inception to installation. I shopped around at a couple different places, and although Panda wasn’t the cheapest, they were definitely the best quality/value for the price. I travel for work and didn’t have time to deal with separate contractors. I wanted a one stop shop that did their own installs or only had a couple subs to ensure quality control. Panda met that criteria, and May was a pleasure to deal with. She was easy to get in touch with - phone, text, email and always very quick to respond to answer questions. She has a lot of experience and was able to give me useful alternatives for my basement wetbar design based on practical experience. She even steered me away from more expensive options that would have taken me over budget. Aside from coming in to look at the cabinets initially, my entire transaction was handled virtually. I wanted to wait a month before leaving my review, and I’ve been very happy with the quality and installation. The installers showed up on time, and even finished a couple hours early. I highly recommend Panda Kitchen and would not hesitate to use them again! May provided a wonderful service. She gave us good advice and help is selection. Her stay was in time and finished the job well. I highly recommend them and will use their service again. Our overall experience was excellent. We wanted new counters in our kitchen. My husband searched online and found Panda Kitchen & Bath. Our experience with them has been phenomenal! Molly was very helpful and patient. She has great eye and suggested a beautiful granite that matched perfectly with our cabinets. She was very responsive to our many questions. Jay was very professional and diligent as he measured our space. The pricing was fair and competitive with other granite companies in town. The installers showed up exactly when they said they would and were very skilled; the same with the plumbers. Jay supervised the entire process. He came back the next day to seal the counters and even cleaned out the bottom cabinets while he waited between coats. We highly recommend Panda!! The entire team was excellent !!! The project is beautiful. The staff was timely and very professional. Molly came up with a awesome design. Awesome service- everyone involved was professional. Fantastic service and quality granite, love the results!! 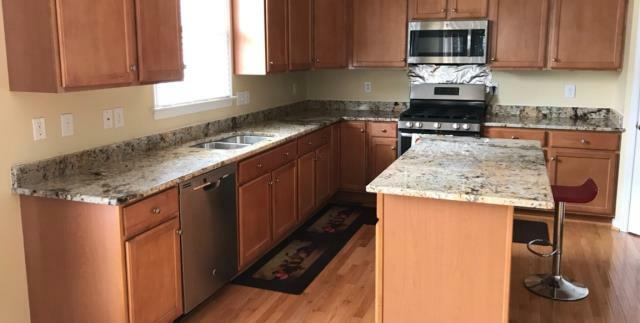 Panda replaced our kitchen cabinets and put granite on them 6 years ago and did an excellent job. 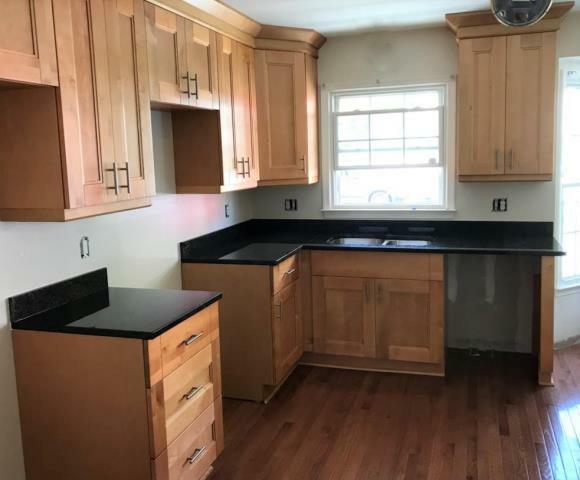 They did such a great job that we knew we would use them again, and just had them replace granite on our cabinets for our new home. Once again, they did an excellent job and it looks beautiful. Thanks to May Cheung and her staff! I highly recommend Panda Kitchen and Bath. After months of agonizing over what pattern would look best with a floor that was already in place, I went with the opinion of the sales rep and I love the finished look. Very happy with the service. We re-did both our kitchen and guest bath and could not be more pleased. Molly had some great ideas that we had not thought of which made things even better. Pricing was good too! Thanks again to Molly, Jay and the installers, everything looks awesome! Kitchen countertops with the Delicatus granite. My client purchased the custom chocolate recessed door style for his basement wet bar paired with the Fantasy Brown quartzite. Although the custom cabinets took a couple months to order, they were definitely worth waiting for. 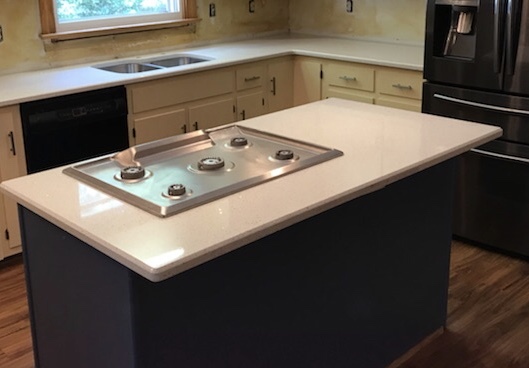 We just completed a kitchen counter installation with our in-stock Thunder White. The Thunder White granite has been extremely popular lately. We installed a vanity for my client this morning and can't believe it only took the installers a little more than an hour. We just finished installing this white shaker and new caledonia kitchen all in just 2 days! The towel cubby holes are such a cute idea for this vanity and the vessel bowl pairs perfectly with the Monclair White quartz. We now also have the Crystal White quartz in stock at a great price. Please come visit our showroom to see the rest of our instock quartz selection. 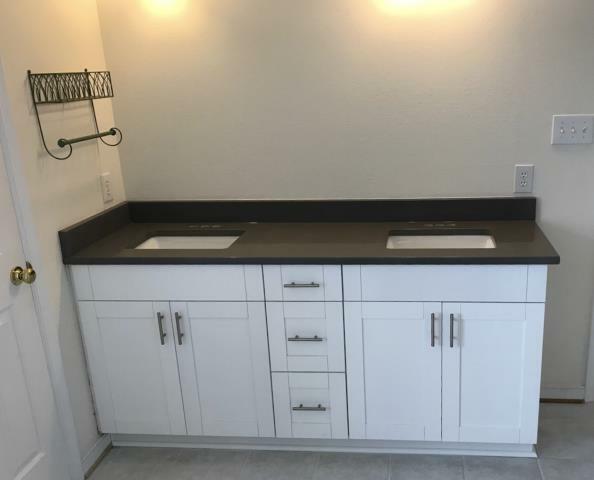 This bathroom has been updated beautifully with the white shaker cabinets and Concrete Gray quartz counter. 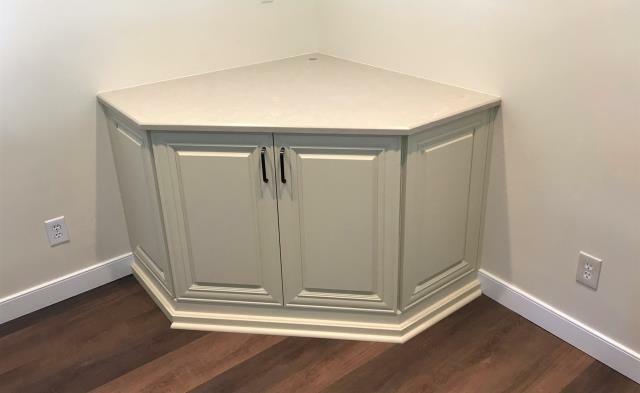 This past weekend we installed this beautiful custom corner entertainment cabinet using our vanilla maple cabinets and in-stock Solare Brown Quartz. Simple, clean and elegant! Our In-stock Golden Crema is the perfect match to our clients existing warm cabinets! It brings in just enough cool grays to compliment their stainless steel appliances. Our talented hard working installers completed this natural maple shaker and Uba Tuba granite counter all in one afternoon. We are so proud to have such an amazing installation crew. Just finished installing this gorgeous kitchen for a client who has been an absolute pleasure to work with. 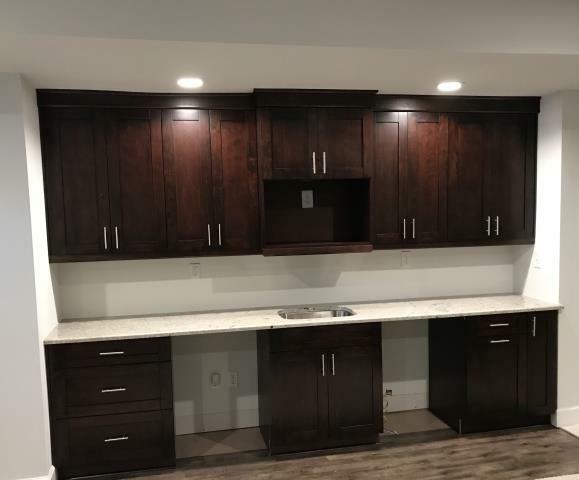 Our vanilla maple cabinets and Vicostone Cosmic Black quartz are stunning! We can't wait to see the finished kitchen once the tile splash, light fixtures and flooring are revealed. 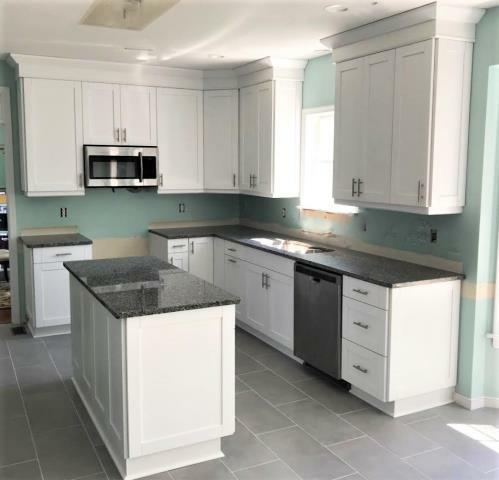 White Shaker maple cabinets with the Azul Platino granite counters. Once the backsplash is installed and the walls are painted, this gorgeous kitchen will be fully completed. Uba Tuba granite for the bar counter. Our installers completed this basement kitchen in one day. The Espresso Single Shaker goes perfectly with the Colonial White granite counter top.